Today I’m helping an electrician called GL Lightning Electrical. This review is based on the keyword “emergency electrician perth”, performed on 4 September 2017. So what can GL Lightning Electrical do to improve their Adwords campaigns? The first thing to review is whether the objective of GL Lightning Electrical’s ad is clear. In the case of an emergency electrician, I would say their main objective should be to get visitors to call them for a quote. Their ad mentions Get a Quote Now so that is a good start, however what the ad is missing is the word emergency and their hours of operation. People searching for an emergency electrician want to be able to call someone right away. The landing page does have a Get a Quote button at the bottom of the above the fold content and their phone number, email and hours of operation are prominently displayed. However, nowhere on the page is an acknowledgement that they are an emergency electrician and their hours of operation when I checked indicated they were closed. I think there is a lot GL Lightning Electrical can do to improve. 2) Their landing page needs to acknowledge that the searcher is searching for an emergency electrician. This could be with a big headline that reads something like “Do You Have an Electrical Emergency? Call Us Now On 6166 9555 We’re Open From 7.30 to 6 Mon-Sat”. The next thing to review is whether GL Lightning Electrical’s ads have been written effectively. Based on the above I believe GL Lightning Electrical can make their ads more relevant and include more benefits in their copy. 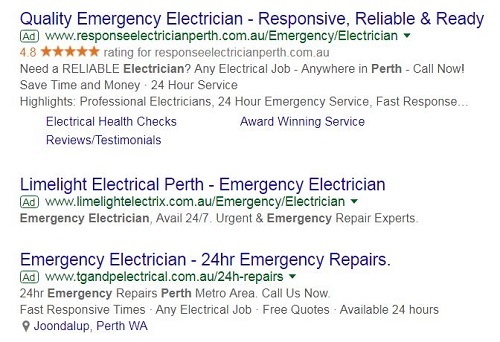 4) Based on the above GL Lightning Electrical should update their landing page to include the keyword emergency electrician Perth in the Meta Title, meta description, H1 and body copy. GL Lightning Electrical are making a common Adwords mistake which is sending traffic to their homepage. They would almost certainly benefit from having a dedicated landing page. I hope you’ve found this free Adwords audit insightful. 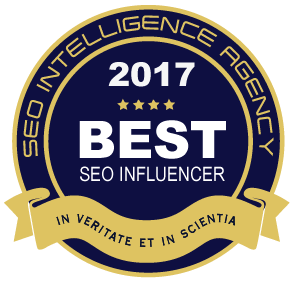 If you’d like me to review your company/ industry please check out my Perth Google Adwords Management Service.